High performance, cement based coating for concrete and masonry protection. Permanent repair material with a longer working time and high early strength gain for overlays, horizontal repairs and formed vertical surfaces. 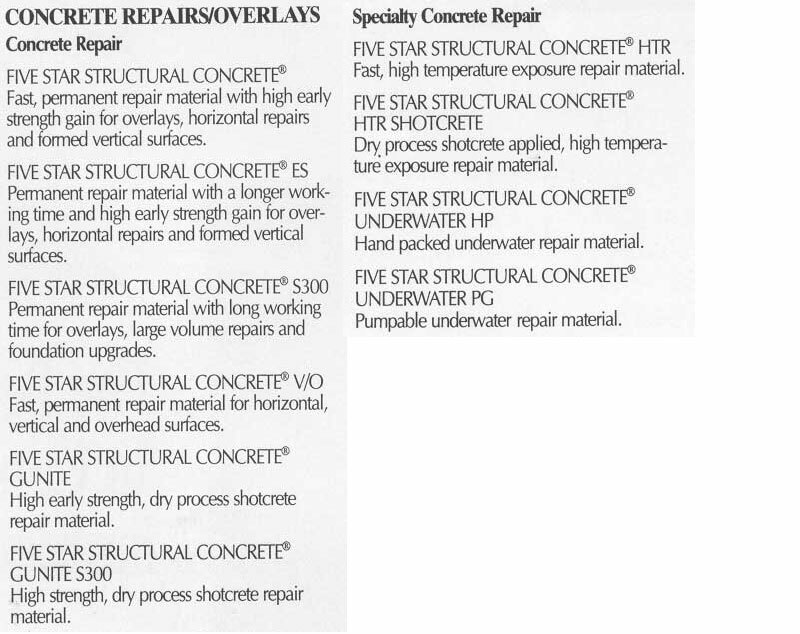 Permanent repair material with a longer working time for overlays, large volume repairs and foundation upgrades. Dry process shotcrete applied, high temperature exposure repair material. Description: Call us to learn more about Design-A-Spec a Five Star Products program designed to let you quickly build a complete, customized specification. 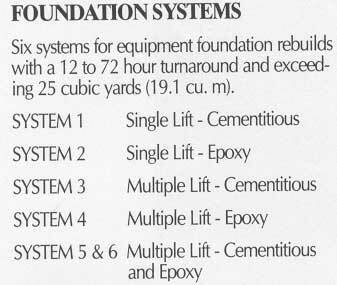 Description: Six systems for equipment foundation rebuilds with a 12 to 72 hour turnaround and exceeding 25 cubic yards (19.1 cu. m). 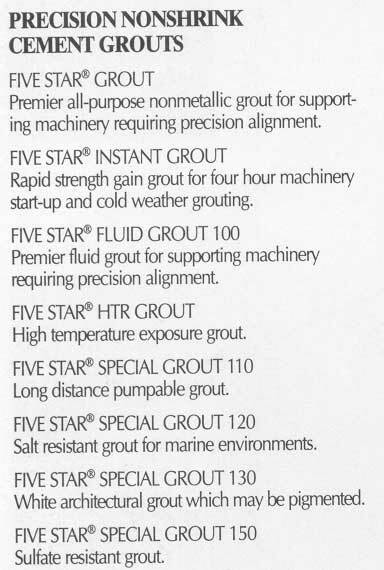 Premier all-purpose nonmetallic grout for supporting machinery requiring precision alignment. 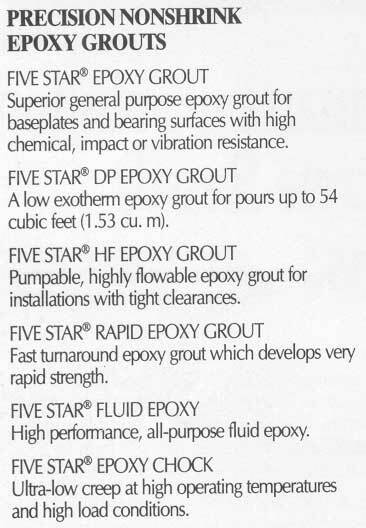 Superior general purpose epoxy grout for baseplates and bearing surfaces with high chemical, impact or vibration resistance. Fast turnaround epoxy grout which develops very rapid strength.